Sweeten up your summer with a DIY watermelon dress. For a handmade spin on this seasonal trend, turn a plain white cotton dress into a sweet watermelon ensemble. This budget-friendly project is eye-catching, unique and easy enough for beginners. Cover your work space with a garbage bag or tarp. In separate bins, prepare the green and red fabric dyes according to the package's directions. Place the top half of the dress in the green dye bath and the bottom half in the red. Leave them to soak for about half an hour. Rinse the dress under running water until it turns clear. Keep the two sides away from each other as much as you can. Wash the dress in a washing machine. Hang it to dry. Lay the dress on a flat surface. Place garbage bags, a tarp or old magazine pages inside the dress. Smooth out any wrinkles or folds. Place a strip of painter's tape on the scrap fabric. Fold the painter's tape in half. Cut half a teardrop shape along the fold. Remove the painter's tape from the fabric. Place the stencil on the dress. Smooth out the tape to ensure that it is completely flat. Using the foam brush, apply a light layer of black fabric paint. Carefully peel away the tape. To paint more seeds, re-position the stencil on another part of the dress. Repeat Steps 9-11 until the red half of the dress has enough seeds to your liking. Let the paint dry completely. For best results, use a dress that is 100% cotton. 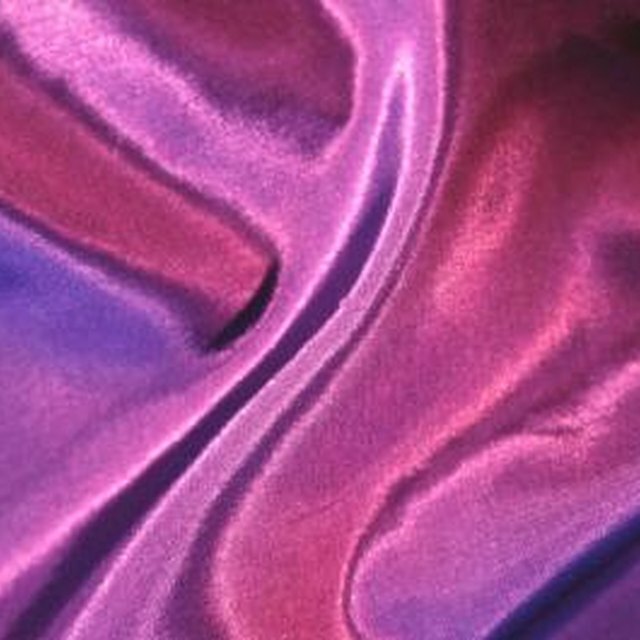 Materials such as polyester do not hold fabric dye. A dress made of both cotton and polyester might not hold dye very well. Can You Bleach a Tan Dress White?